January 10, 2014 / P.J. In a recent post, I shared some unique disc golf terms my friends and I created over the years, and asked readers to reply with some of theirs. We received a great response, and I’m hoping this post will do the same thing. I’ll share some local, as well as well-known, examples. 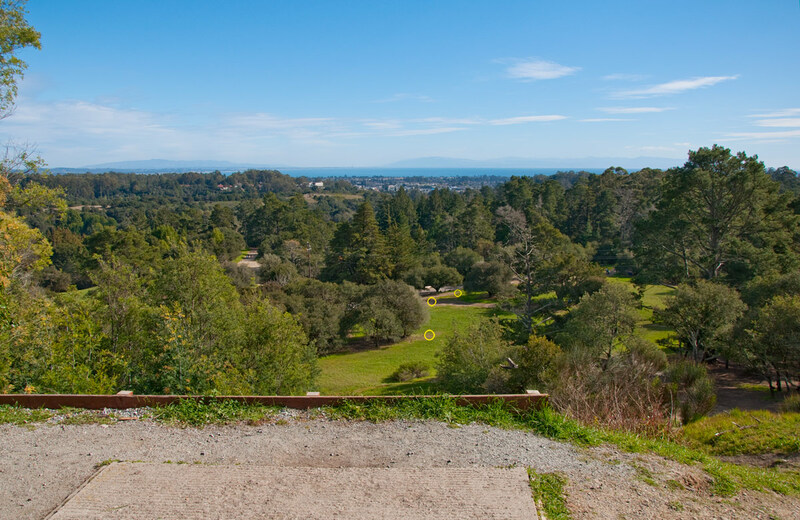 As regular followers of this blog know, DeLaveaga DGC in Santa Cruz, Calif., is my home course. After more than 30 years and thousands upon thousands of rounds played by its devotees, DeLa (there’s a nickname right there!) has more than its share of local labels for holes and landmarks. The most famous of these is its final hole, #27, known as “Top of the World.” At not even 1,000 feet above sea level, it obviously isn’t Mt. Everest, but it is the highest point within the Santa Cruz city limits, and it earned its name for its backdrop view of the Pacific Ocean. Hole No. 13 is also home to Lake Maple, a giant pothole in the middle of the otherwise flat part of the fairway that fills with water after rainy days. It doesn’t count as a water hazard, but is deep enough and wide enough that retrieving your disc can be a major pain. This lesser-known landmark was named for a talented older player from the 80s and early 90s, when far fewer people played the course and most everyone knew each other. George Maple liked to throw rollers off the tee on 13, and whenever his disc would plunge into that gigantic puddle he would absolutely lose it. So, naturally, we named it after him — Lake Maple. Super-short hole No. 17 has forever been known as The Gravity Hole, as the fairway funnels down both from tee to basket and from left to right. 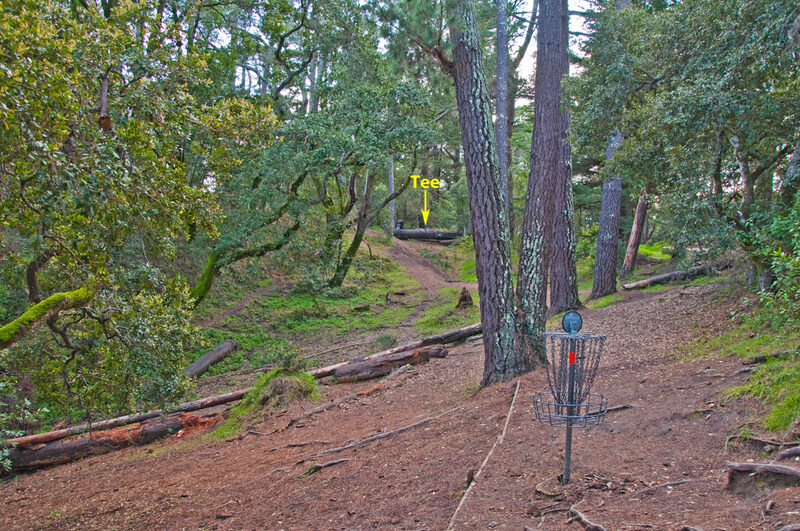 More often than not, if your disc catches an edge and starts to roll, it won’t stop until it wedges into a seasonal creek bed where the two slopes meet a third coming from the opposite direction. Before teeing off, you can also rub The Lady for good luck, a very special tree next to the pad. Old-timers will remember Chickenfoot, a dwarfed, gnarly tree that stuck up just high enough on the fairway of hole No. 19 to snag an otherwise perfect throw. Finally, there is The Catcher’s Mitt on hole No. 4. Most discs that come into contact with this obstacle either skip or slide into it or strike low on one of its several trunks and branches. Either way, The Mitt nearly always catches the disc and keeps it within the pocket of its tightly-spaced limbs. It doesn’t really look like a catcher’s mitt, but earned its name more for how it grabs discs in the vicinity. I suppose first baseman’s mitt would be more accurate, but it’s not as catchy (no pun intended) as The Catcher’s Mitt. 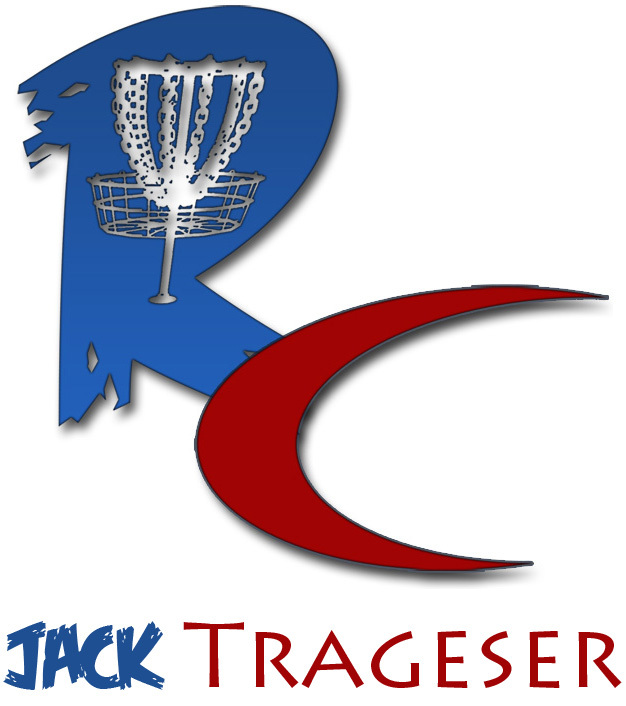 For examples of course nicknames outside of DeLaveaga, we need only look to the Winthrop Gold course on the campus of Winthrop University in Rock Hill, South Carolina, home of the United States Disc Golf Championships. Organizers each year assign a state to be associated with each hole (this year California had hole No. 11, a long par-4 that killed me in 2009), but that doesn’t really count. Those names didn’t arise organically due to how the holes play or a physical characteristic of part of — or the whole — hole. But Winthrop Gold definitely has a few of those. Two of the most famous are hole No. 7, the Bamboo Hole, where players must navigate a bamboo fence in front of the basket; and the par-5 hole No. 13, known simply as 888 because of its length of 888 feet. As anyone who has played this hole can attest, there is much more to this beast than its length (which, considering it is a par 5, is actually pretty short). Just ask three-time USDGC champ Barry Schultz, who was in the lead in 2013 until scoring an 11 on 888. Now it’s your turn. Let us know a nickname or two from your favorite courses. Try and explain where the nickname came from as well. If you have photos that illustrate the hole and the name, feel free to e-mail them to me and I’ll work on a follow-up post showing the best ones. Didn’t 888 also become a title for an exceptionally good player performing horrible, even for their standards? So much so that it is how you mark a player for possibly sabotaging their round in order to sandbag? I also have to day that I greatly missed out on great SoCal courses in college when I lived in Fullerton. At the time I had not discovered disc golf, though I had bought some discs at a G. I. Joes because I thought they were cool frisbees.